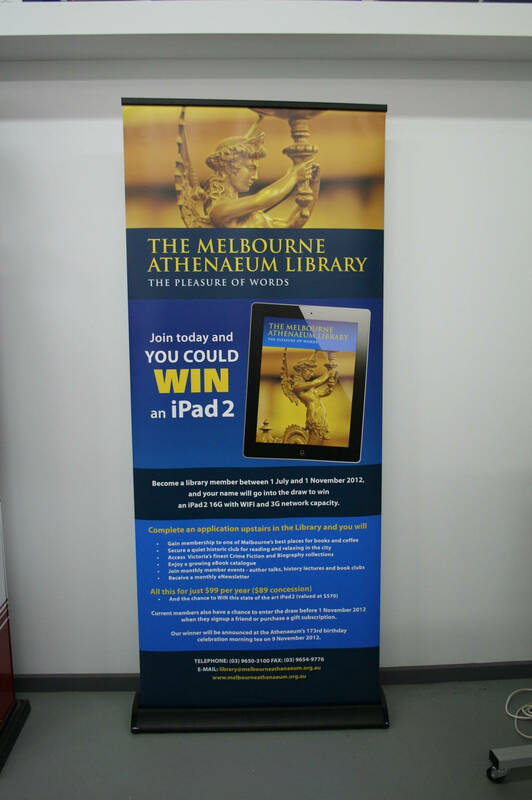 Retractable banners, or ‘pull-up banners’ as they are sometimes called, are perfect for press conferences, exhibitions, corporate meetings, trade shows, retail displays and shopping centres. 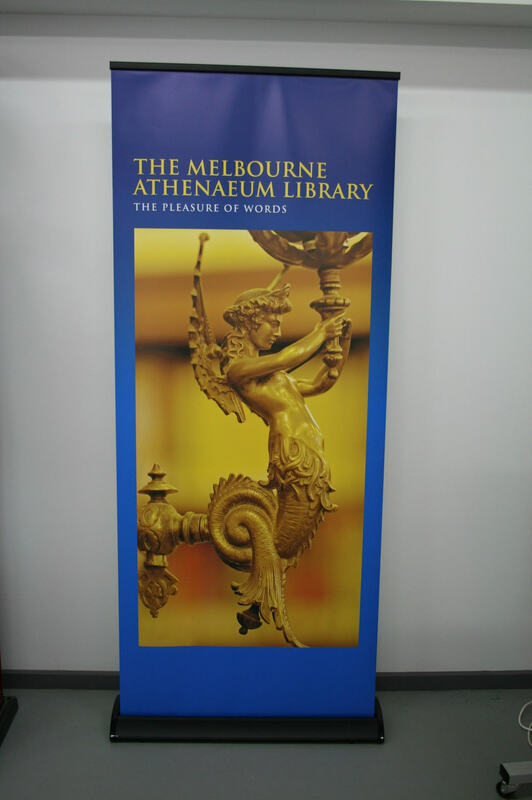 These versatile signs offer real value for your advertising dollars and are quickly and easily set-up as required and then rolled away into the retractable base for transportation or storage. We supply these units in a tough, padded nylon carry-bag making them easily transportable by car or plane to your next conference! 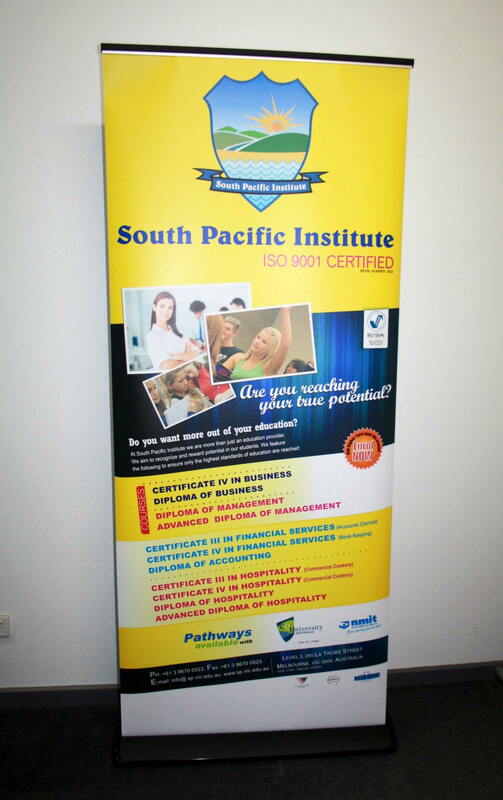 Whether you use a single unit on its own, or a string of multiples for extra impact, these indoor retractable banners offer a great advertising solution giving your business a professional, corporate presence. 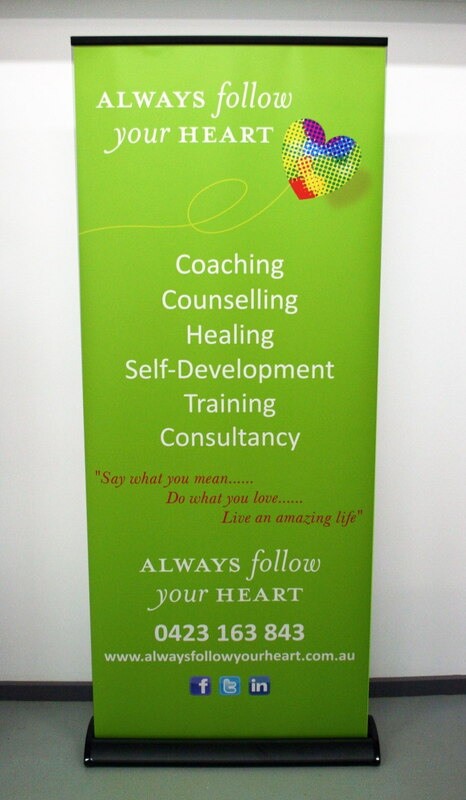 The high-resolution graphics are digitally-printed onto a quality, non-curling, smooth polypropylene banner vinyl in bright, vivid colour. We offer several size options with a product to suit various budgets. 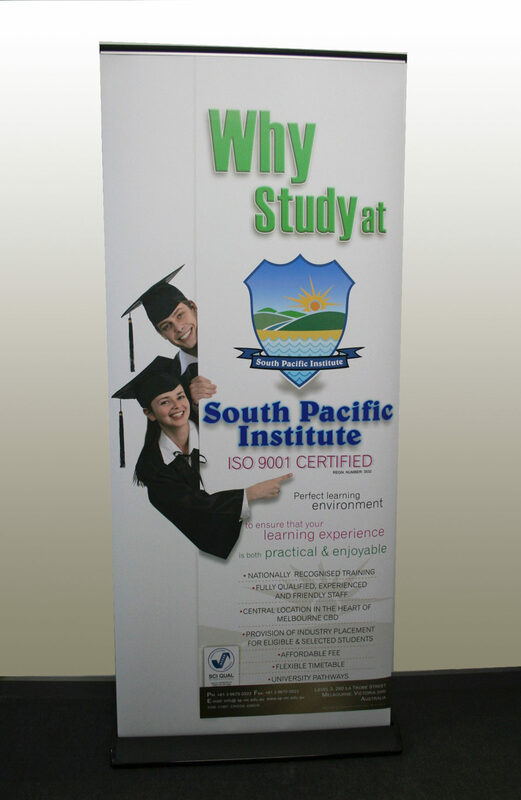 Our economy models offer an excellent, low-cost option for those on a tight budget, and we also offer a premium retractable pull-up banner-stand for clients that understand the value of a quality, premium made product that can be used over and over again.